= Total price $5152 Australia Dollars. 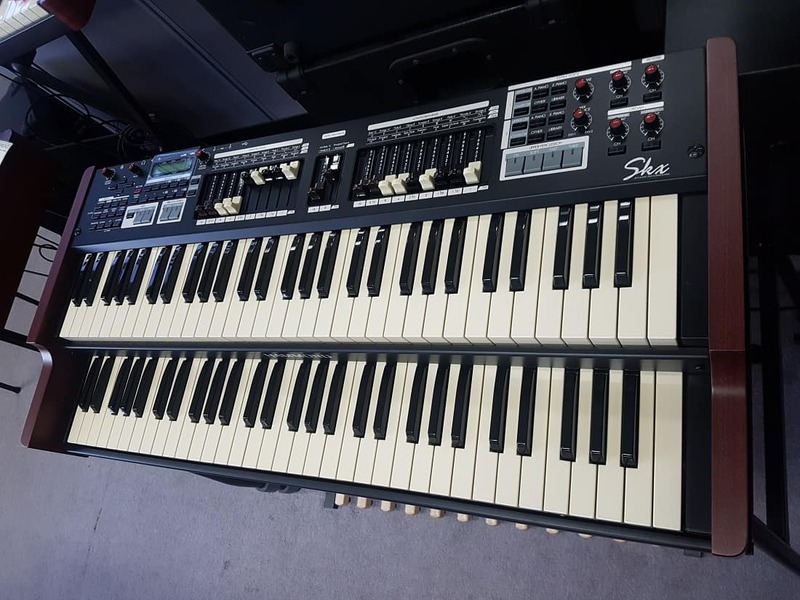 Compared to Hammond Australia’s recommended retail price $5595 with stock available in Melbourne for immediate delivery or collection. Plus we do awesome deals and offer exclusive discounts for professional musos, as well as take trade ins! Phone 03 9872 5122 or Email info@musicland.com.au for professional price discount. The SKX Stage Keyboard — the smallest, lightest, full-featured dual-manual in the company’s history. Evolving from the highly successful line of Sk series Stage Keyboards, the SKX has embraced design recommendations from Professionals and Hobbyists alike. 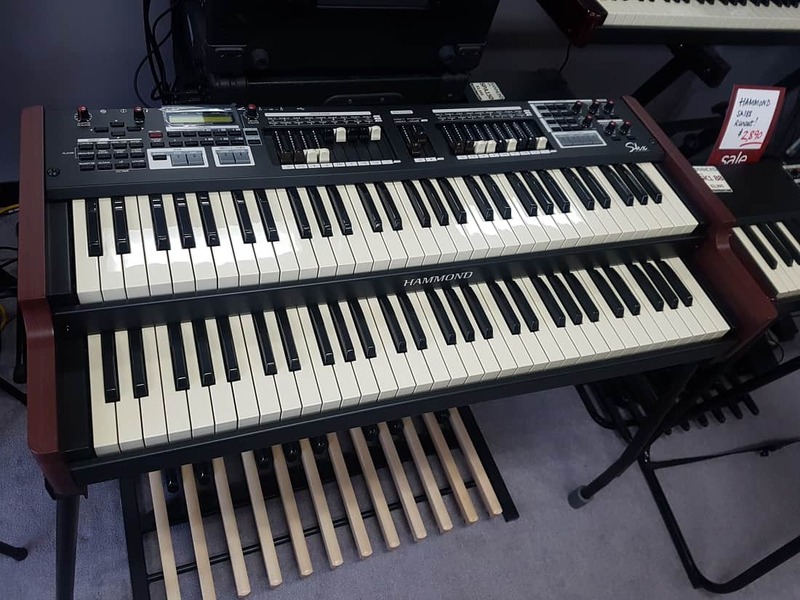 The result is a comprehensive instrument combining an authentic Hammond Organ featuring 3 sets of Harmonic Drawbars™, Vibrato-Chorus, Touch-Response Percussion™, and digital Leslie™ with a complete array of the most desired Keyboard Voices, such as Grand Pianos, Electric Pianos, Clavs, Orchestral and Percussive voices, and more. These may be combined with the Tonewheel voices, or with each other, in the twin Extravoice divisions. The Organ division is further equipped with 32 ranks of Hi-Def Classical Pipe Organ voices, and accurate models of the two most popular combo organs of the Sixties, which may be registered and played exactly as the originals. Further improvements are found in the expanded Voice Library memory allowing users to install their choices of custom voices obtained without charge from the Hammond Website. Multiple banks of favorite preset collections are now standard, as is a new set of factory presets created by Hammond’s Artist roster. New to this instrument is the traditional 11-pin Leslie jack for connecting a Leslie™ Speaker cabinet. The classic “Half-Moon” switch (optional) can be added to control the speed of either the onboard digital Leslie or external Leslie Cabinet. Leslie Cabinet.